About 113,000 adult portable bed handles used to help people get into and out of bed are being recalled following reports of three deaths. The Consumer Product Safety Commission says the recall involves handles sold by Bed Handles Inc., of Blue Springs, Mo. The agency says the handles can shift out of place when attached to a bed without the use of the safety retention straps — creating a dangerous gap between the handle and the side of the mattress. The CPSC says three women became trapped between the mattress and the handles and died. One was an elderly woman at an Edina, Minn., assisted living facility; another was an 81-year-old woman at a Vancouver, Wash., managed-care facility. The third woman, 41 and disabled, died at an adult family home in Renton, Wash.
Consumers should immediately stop using all recalled bed handles that were sold without safety retention straps. Contact Bed Handles Inc. for free safety retention straps to secure the bed handle to the bed frame, new assembly and installation instructions for models BA10W/BA11W and AJ1 and a warning label to attach to the bed handles. 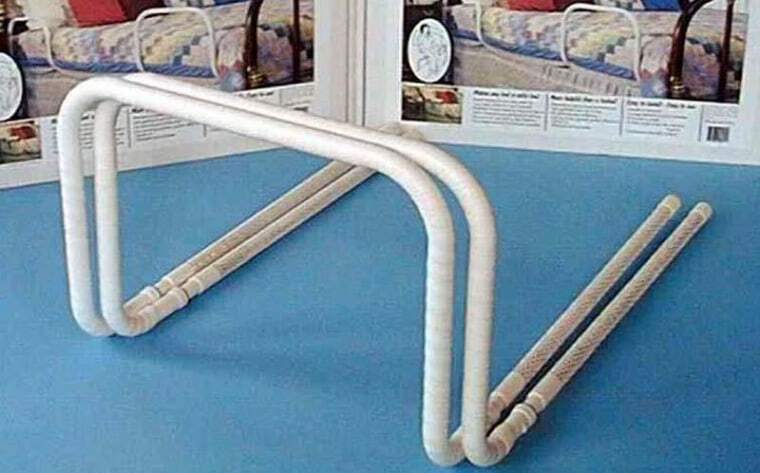 The bed handles should be used only with the safety retention straps securely in place attaching the bed handle to the bed frame in order to prevent a gap, the CPSC said. Contact Bed Handles Inc. at (800) 725-6903 from 8:30 a.m. to 4:30 p.m. CT Monday through Friday, or online at http://bedhandles.com/recall.html.